Wildlife Photography from Ireland. 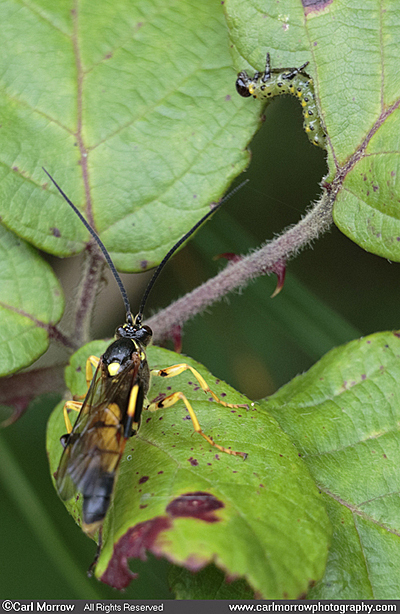 : Ichneumon Wasp sizing up a sawfly larvae. Ichneumon Wasp sizing up a sawfly larvae.